In traditional pictures, doctors always examine their patients using a stethoscope. This is a useful tool that allows them to listen to some of the body’s internal functions, including the intestines, lungs, and heart. However, what it doesn’t do is really tell you how something is operating. If a doctor wants to know if the heart is beating, a stethoscope is more than enough. If, however, they want to know how it is beating, they will need a bit more information. This information can be measured through ECG electrodes. So what do they measure and how? ECG stands for electrocardiogram. A resting ECG shows physicians how the heart works when the person is resting. This allows them to check on the overall condition of the heart. Resting ECGs are often used after someone has had cardiac surgery, angioplasty, an angiogram, or if their heart medication has changed. It takes between 15 and 20 minutes to complete a resting ECG. 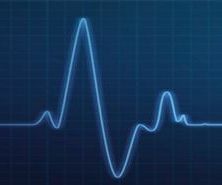 The exercise ECG is better known as the stress test. Patients are placed under stress by exercising or through medication, determining how the heart works when it has to beat harder. This shows whether blood is flowing to the heart tissue properly. Stress tests have to be completed in controlled environments at all times. It is often used if coronary artery disease is suspected and can help people prevent heart attacks. The Holter is a portable monitor that measures the heart’s electrical activity for a 24 hour period or more. This allows doctors to diagnose a heart arrhythmia, whereby they can find out whether there are specific irregularities within the heart. To complete this test, ECG electrodes are placed over specific bones, which means they won’t accidentally pick up on muscular activity. The electrodes are attached to the Holter device, which the patient wears around their belt or neck. This is usually done after someone has had a heart attack, requires new heart medication, or is believed to have an arrhythmia. When someone is in the ICU (Intensive Care Unit), it is quite common for them to be attached to an ECG. In fact, it is one of the ICU’s most commonly used pieces of equipment. If someone is in the ICU, they must be monitored properly 24/7, and a problem with the heart is often indicative of something else going wrong. As a result, it is almost standard procedure to ensure someone is constantly monitored with an ECG. While it is very common for someone in the ICU to be attached to an ECG, it is even more common for this device to be used in the OR (Operating Room). When someone is going through surgery and are under the effects of the anesthetic, they are no longer able to vocalize any problems. As a result, should they be in distress, they would be incapable of telling the physicians about this. By attaching them to an ECG, any changes can be detected immediately. Spider Veins vs. Varicose Veins - What's the Difference? Spider veins and varicose veins have similarities, but they look different and have a different diagnosis. Learn more about their differences and similarities below, including how to treat them. Spider Veins vs. Varicose Veins - What are they? The main difference between spider veins and varicose veins is their appearance. 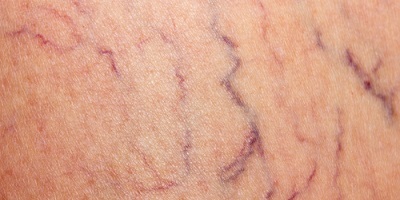 • Spider veins are small, thin blood vessels visible underneath the skin on the legs or face. Though typically harmless, spider veins can be caused by poor circulation and lead to varicose vein formation. • Varicose veins are enlarged, “ropey” veins which protrude beneath the skin. They often develop on the legs and feet when valves in the veins aren’t working properly. Spider veins and varicose veins are often caused by increased pressure on the lower body due to standing or walking. • Age – As you get older, veins often lose elasticity. Valves in your veins may weaken allowing blood to flow backward instead of moving to your heart. As the blood pools, your veins can enlarge and often appear large and blue because they contain deoxygenated blood being re-circulated through the lungs. • Pregnancy – Pregnant women often develop spider veins or varicose veins due to increases in blood volume and decreases in blood flow from the legs to the pelvis. This supports a growing baby, but can cause enlarged veins in the legs. Symptoms often worsen late in a pregnancy, but most women are symptom-free three to 12 months following delivery. • Genetics – If you have a family history of spider veins or varicose veins, there’s a high chance you may get them too. • Obesity – Extra weight puts pressure on the veins causing blood to pool. • Sitting or Standing – When sitting or standing for long periods of time, blood flow in the legs decreases. A health care professional can examine the affected area to diagnose spider veins or varicose veins. Most cases don’t require treatment except for complications or cosmetic reasons. Symptoms can be alleviated by lifestyle changes including regular exercise, weight loss, and avoiding sitting or standing for extended periods. Elevating the legs while sitting or sleeping can also improve circulation and decrease leg swelling. If spider veins or varicose veins are painful or irritating, innovative vein treatment can eliminate them for good. At Coastal Vein Aesthetic Institute, we help patients get relief from spider veins and varicose veins through non-invasive vein treatments. Contact us to learn more about our vein services. If you have been surprised by high cholesterol readings from your latest visit to the doctor, you are not alone. Whether through heredity, lifestyle, or a combination of both, having high cholesterol is a common health problem that raises the chance of having a heart attack or stroke. The good news is that cholesterol numbers can improve through lifestyle changes. Healthy eating is one of the most significant lifestyle changes recommended by the Mayo Clinic to help lower cholesterol. Here are some ways you can choose low cholesterol alternatives to help improve your health. Potato chips are on their way out as a snack food, but that does not mean that you have to feel deprived. In addition to snacking on fresh fruits and vegetables, nuts are a great option. They quiet a rumbling stomach before dinner time, and are full of protein, omega-3 and essential minerals. They may even lower LDL cholesterol levels. Walnuts are a great source of polyunsaturated fatty acids. To make vegetables more palatable to snack on, try a mashed chickpea dip called hummus. It has tons of fiber and no saturated fat. Salads full of nutritious and high fiber fruits and vegetables are great, but their benefits can almost be cancelled out by creamy high fat dressings and high sodium croutons with little nutrition. Choose a simple dressing made from olive oil, your choice of vinegar, and a salt free spice blend. Add some canned beans such as kidney or cannellini for extra color and texture in your salad that will add extra nutrition without cholesterol. Here are some great ideas for assembling a great heart healthy salad. They include adding extra vegetables, whole grains, fruit, herbs and proteins to the standard salad that make it a meal. In order to increase the effectiveness of your efforts to lower your cholesterol, consumption of red meat must be reduced. Increasing fish consumption is one way to promote lower cholesterol. Replacing red meat with fish such as salmon gives you a rich taste that is full of fats that are good for you. Lean ground turkey can replace ground beef in your favorite casseroles and burgers, especially if you season it with a high quality herb and spice blend. There are some good turkey bacon options that can satisfy your craving as well. Even if you are a pork bacon purist, there is an option for you. Canadian bacon is actually lean ham slices and contains one quarter of the fat of standard bacon. By choosing more foods made from plants, you are reducing your exposure to foods that are heavy in saturated fat and carbohydrates. Vegetables, fruits, and legumes should be the centerpiece of your low cholesterol diet. Thanks to forward thinking food producers, the choices will not need to be so hard into the future, because even foods that are in packages at the market can be healthy and plant based. 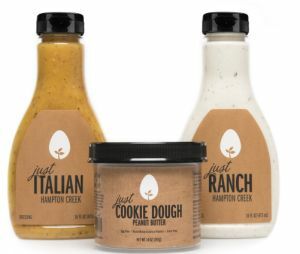 Hampton Creek is a company that started out by making Just Mayo, a mayonnaise alternative that substitutes yellow field peas for eggs in order to emulsify its spread. Skip the saturated fat-laden pastries made with butter and sugar for breakfast. Instead, choose whole grain toast dressed up with a little peanut butter or no sugar added jam. You will avoid the fat while adding fiber to the first meal of the day. Even though you want to adapt to a healthier diet, you can still have a treat once in a while. Skip the carbohydrate heavy candy and opt for dark chocolate. The oleic acid in cocoa butter is a monounsaturated fat that can lower LDL cholesterol. You will want to skip milk chocolate because it contains saturated fat, but dark chocolate with 70 to 80 percent cocoa is a great treat choice that may raise the level of your good HDL cholesterol. There have been many advances in the treatment of high cholesterol, from the awareness of the importance of diet to cholesterol lowering medications. Treating high cholesterol as soon as possible after its onset will decrease your chances of a heart attack or stroke. Proper low fat eating, combined with exercise and quitting smoking, may be enough to avoid having to take statin medication. Even if you inherited your high cholesterol, making modifications to your eating habits and lifestyle can positively impact your cholesterol numbers. When we think about medical tech, big things like MRIs come to mind. Biotech like automatic insulin injectors might also make the list. Then, there is the more fanciful sci-fi solutions like medical tricorders, Emergency Medical Holograms, and pills that can grow back kidneys. While these technologies capture the headlines, and our imaginations, the healthcare tech that most affects your outlook is likely much smaller, less expensive, more common, and something you might already have. These less ambitious technologies have the benefit of being available now, and are already being implemented. Electronic health record (EHR) software has got to be tied with payroll software for the most boring technology to a consumer. But that boring software distinguishes itself by helping doctors save lives. These are just a few of the things being enabled with software in more healthcare systems across the US and around the world. But when it comes to EHR, we still have a long ways to go. As the world becomes more mobile, it has to get easier to share and transfer records across various systems. The EHR silos still have to be broken. Medical records also need to travel across borders. This can be especially useful in tracking, or even preventing the spread of disease from one part of the world to another. Finally, EHR has to become a lot more portable so that it can benefit people in developing nations and remote villages. None of these changes will happen overnight. And they will require more than technology. Certain geopolitical realities have to be addressed. But once fully implemented globally, EHR might be the biggest advance to healthcare in the 21st century. Apple Watches and Fitbits have done a lot more than give the tech press another meaningless fan war to cover. They have given people a reason to care about their health. Once people have a simple and compelling way to track certain health metrics, they do. Among others, one of the benefits of this sort of tracking is that people can have a better idea of when they need to visit a doctor. One instance of elevated blood pressure after a big fried chicken dinner is not overly concerning. But a pattern of high blood pressure is reason enough to make an appointment. People who think they are getting enough exercise are often surprised by how little they stand, have productive movement, or get their heart rate up to the level of exercise. Equally, people are often unaware of how poorly they sleep. This is the sort of data fitness trackers can provide. 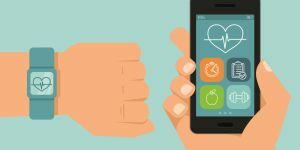 But until the average fitness tracker can provide things like blood pressure and glucose monitoring, they will have limited appeal. Right now, the people interested in such devices tend to be some of the fittest people in the world. Progress will have taken a leap forward when less healthy people get more benefit from these devices. At WWDC 2016, Apple introduced a feature to the Apple Watch via watchOS 3 that is sure to see uptake from all other competitors in the space. It turns the device into an emergency call button. Press and hold the side button, and the watch will make an emergency call wherever you happen to be in the world. Because it knows your location, it also knows the proper number to dial. Simultaneously, it sends a message to a predefined contact list and a map location letting them know where you are. There are plenty of ways for this kind of feature to go wrong but even more ways for it to go very right. We needn't look to science fiction to find lifesaving technology. Look no further than your computer, smartphone, and wrist. While health records have become big business in recent history, the keeping of health records is actually less than 100 years old. Though today we take for granted the easy access that can provide connections between past and current illnesses, symptoms, and health providers; catch drug interactions and allergies; and provide on overall picture of our lifetime of health, our health information systems have come quite a ways from their simple beginnings. Keeping health records goes back to the 1920s, when medical professionals recognized the need for access to previous health information for accurate treatment of patients. The concept of keeping and using records to provide better care spread quickly. In 1928, the Association of Record Librarians of North America was established by the American College of Surgeons to facilitate accurate record keeping. The organization went through several incarnations, eventually becoming the American Health Information Management Association in 1991.The scope of their work has greatly expanded over the years, but they started out keeping basic health records for hospitals and clinics. Records in this era were kept on paper, and that continued to be the case for many decades until the technology revolution started to change the face of health record keeping. The evolution from paper to electronic record keeping actually took many decades as well. The idea to create an electronic system for health records goes back to the first days of computers in the 60s and 70s. The technology was slow to develop and cost-prohibitive in the early years. Computers were very expensive, very large, and limited in their capabilities during those first record-keeping steps the 60s and early 70s. It took the technological advancements of the late 70s and early 80s to make the consistent use of electronic record keeping feasible on a large scale. Early healthcare software focused on very narrow areas and was useful only for specific departments. In the 80s, however, software began to advance and develop at a rapid pace, though it was still lacking an all-encompassing system of electronic record keeping that could connect the access to patient information in new and multiple ways. This more robust integration came with the advent of the Internet age, when networks began allowing the sharing of information that healthcare software needed to be more effective. As the new millennium dawned, technology advanced expeditiously in nearly every industry. Healthcare records were one of the areas that grew by leaps and bounds. New Electronic Health Records (EHR) systems appeared on the market, and by 2004 the government began backing a push to move health records to a new electronic system. In 2009, President Obama signed the American Recovery and Reinvestment Act into law. This law included a provision requiring all medical records to be transferred to electronic systems and 70% of healthcare providers to comply by 2014. Naturally, the move to widespread adoptions of electronic health records brought hurdles with it, including problems with the security of sensitive information as it was passed through insurance and billing systems. This was addressed by the Health Insurance Portability and Accountability Act (HIPAA), which was enacted to provide safeguards and rules to ensure all patient data are handled carefully and securely. 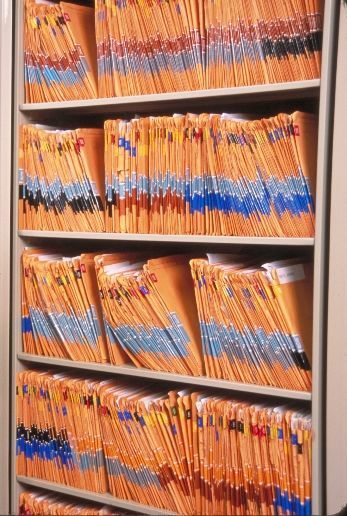 HIPAA compliance became a large part of the health records industry, requiring that all healthcare entities ensure that their systems were aligned with the rules. From the humble beginnings of doctors’ basic handwritten notes, the health information industry has taken on a new life. Records no longer simply track the history of a patient. Today they provide a vast pool of knowledge that improves patient care and makes the work of doctors easier. Now there are Regional Extension Centers of the Office of the National Coordinator for Health Information Technology across the nation, offering support and assistance as providers make the shift to new electronic systems. These systems are continuously improving with the fast pace of technology. With many providers already working on a 100% electronic system, the handling of security, backup and recovery, and accurate record keeping has created an even larger health record industry that will continue to grow into the future. CT vs. MRI – What’s the Difference? Has your doctor ever told you that you may need further testing with a CT scan or an MRI? Maybe you’re familiar with taking x-rays for broken bones, but what are CT scans and MRIs? And how are these two tests different? Here we’ll explain how CT scans and MRIs work and why one may be better than the other depending on the medical issue and the patient. Computerized Axial Tomography, often shortened to CAT or CT Scan, uses rotating x-rays to generate images of the body. These tests are often recommended for diagnosing serious injuries or fractures to the head, chest, spine, abdomen, and pelvis. They may also be used to find the location and examine the size of tumors. Radiation exposure can occur during CT scans and is not recommended for pregnant women or children unless absolutely necessary. CT scans offer many advantages. The following are a few reasons why doctors may choose a CT scan over an MRI. • CT is great for viewing bone structures, soft tissue, and blood vessels at the same time. • CT scans are cheaper than MRI scans and take less time to complete. The process typically takes five minutes with only 30 seconds of actual scanning. • CT can be a more comfortable test for patients who are claustrophobic (although open MRIs are available). • CT is widely used for emergency rooms patients. • Patients with cardiac monitors, pacemakers, and certain metallic fragments or surgical clips cannot have an MRI, but they can have a CT scan. Magnetic Resonance Imaging, or MRI, uses powerful magnets and pulsing radio waves to collect images. An MRI is best used for collecting soft tissue images. MRI is more versatile than CT and can be used to examine a wide range of health conditions. An MRI scan may take 10-15 minutes to complete or can take as long as two hours. MRIs offer different advantages than CT scans. The following area few important advantages. • MRI scans offer better detail for soft tissue structures, spinal cord injuries, brain tumors, and ligament or tendon injuries. • MRI uses a magnetic field to build an image without the use of radiation. Radiation exposure is not a concern when getting an MRI. • With MRI, the imaging plane can be changed without moving the patient. • The contrast agent used in MRI does not contain iodine. • MRI offers the ability to adjust the sharpness of black, white, and gray images by making subtle changes to the magnetic fields and radio waves. These different settings can highlight many types of tissue. When scheduling a CT scan or an MRI, it’s crucial to choose professional, trained doctors and nurses who use the latest technology and offer quality healthcare services. Vidius Healthcare Solutions offers doctors and clinics innovative radiology IT solutions and services so you always get the experience you deserve.